You know how you hate staged rollouts because they drastically limit your chance to ever receive an app update when it first goes live? I have good news that may help increase your chances of winning the app update lottery! 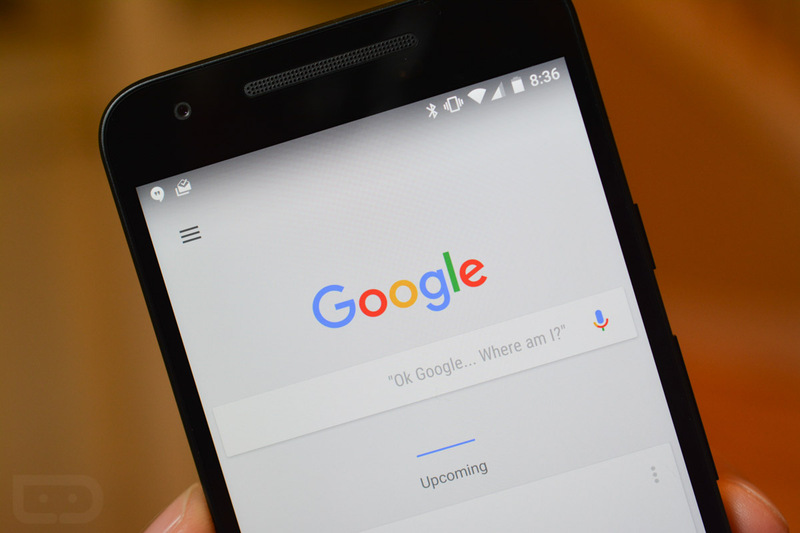 Google has opened a public beta for the Google app on Google Play that should get you testing new features well before the rest of the not-so-tech-savvy world. The beta test opened within the last day to users through a Google Now card (pictured below). Once opened, users are able to opt-in and begin testing, assuming Google has a new beta for you to test. If you aren’t seeing the card, don’t worry, we have the link for you below. For those not familiar with these Google Play beta programs, just know that once you join them, you get updates through Google Play like you have in the past, they just happen to be newer beta versions most of the time. You will still get prompted to update on Google Play, plus you are still using what is essentially the same app. 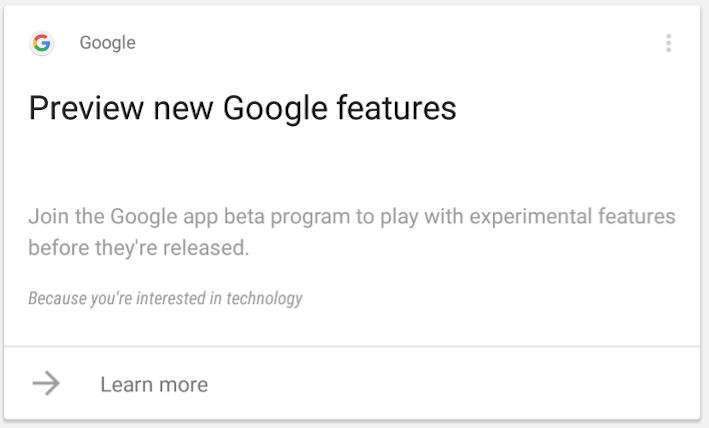 What I mean is that you won’t have a separate “Google Beta” app or something, you will still just have the normal Google app, it just so happens to be a beta. Interested? Hit up the link below. We Have the Nexus 6P and Nexus 5X, What do You Want to Know?